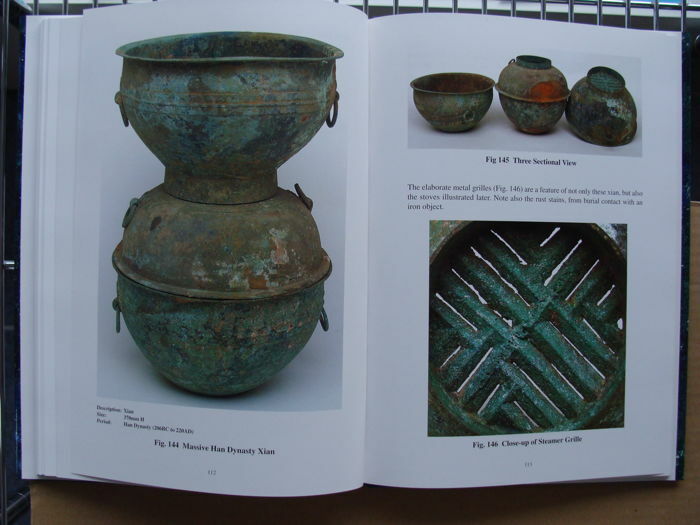 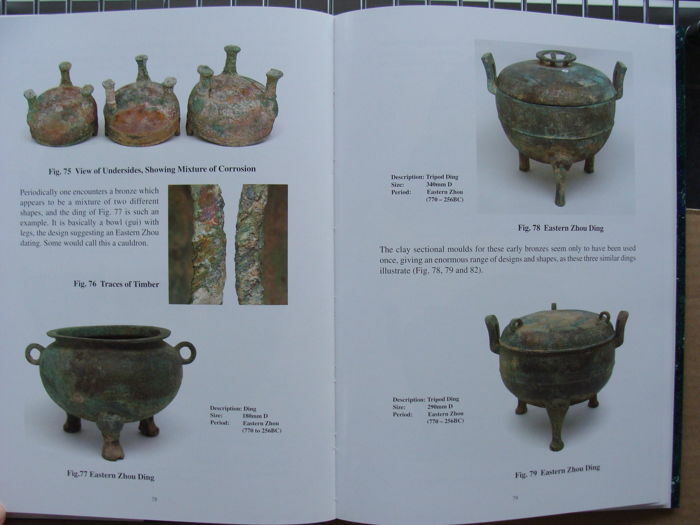 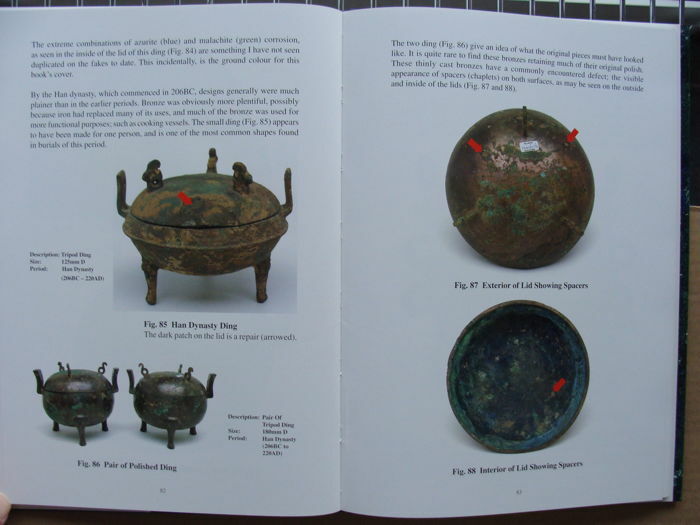 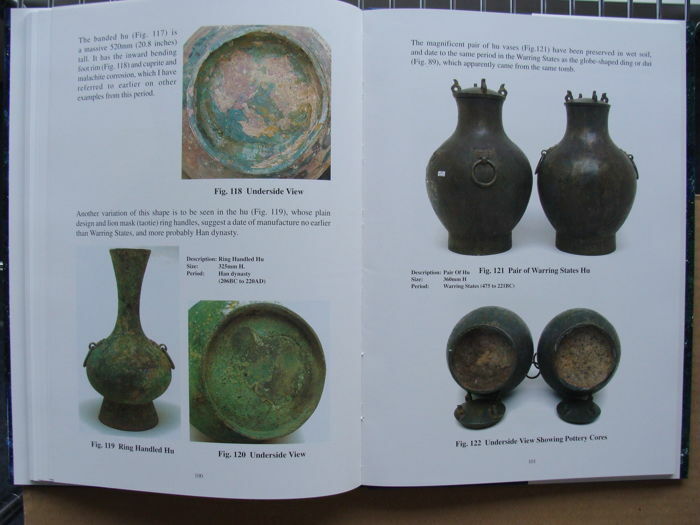 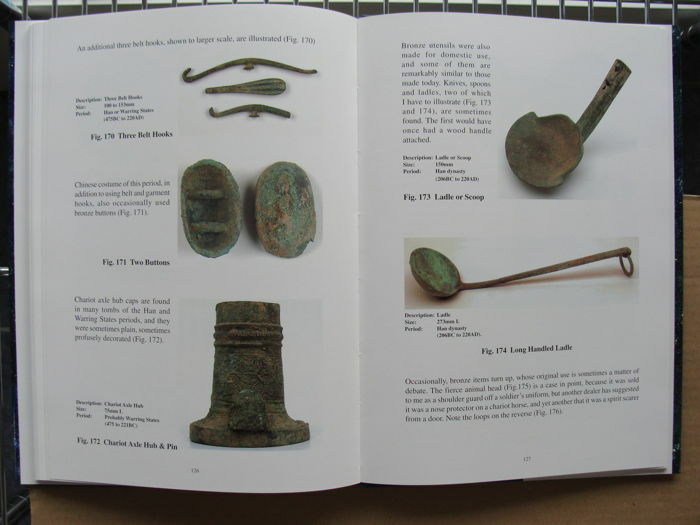 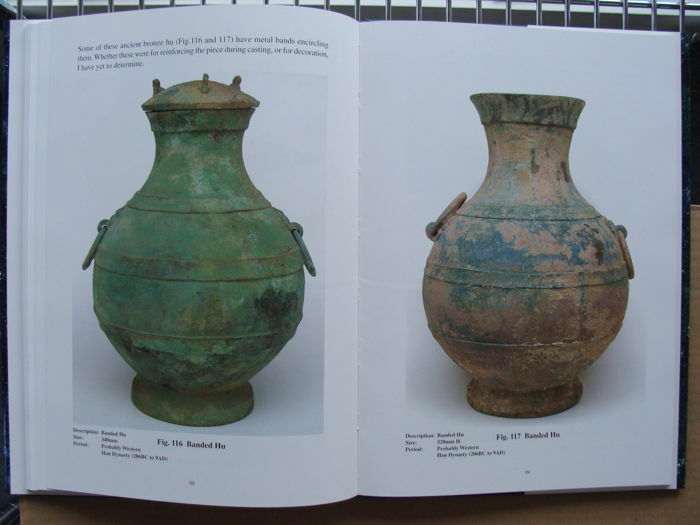 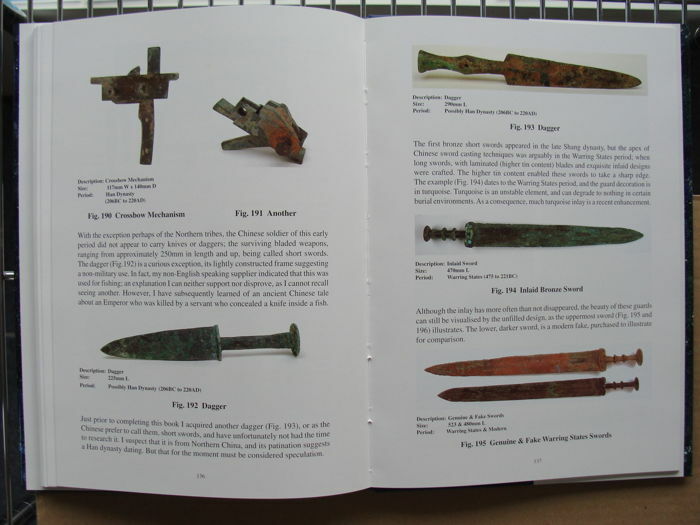 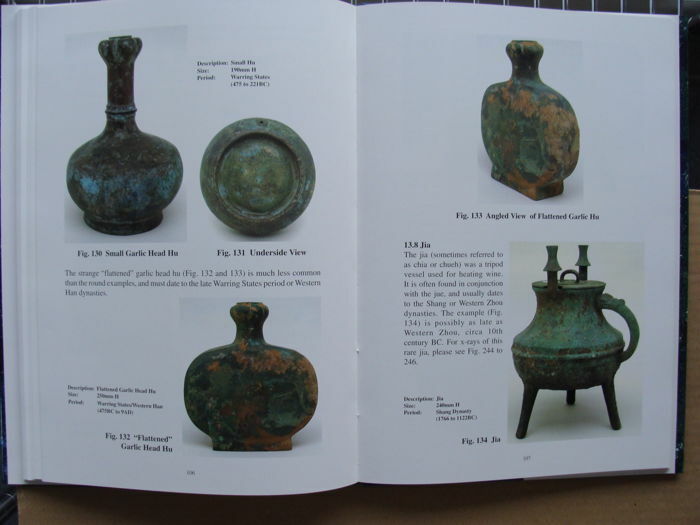 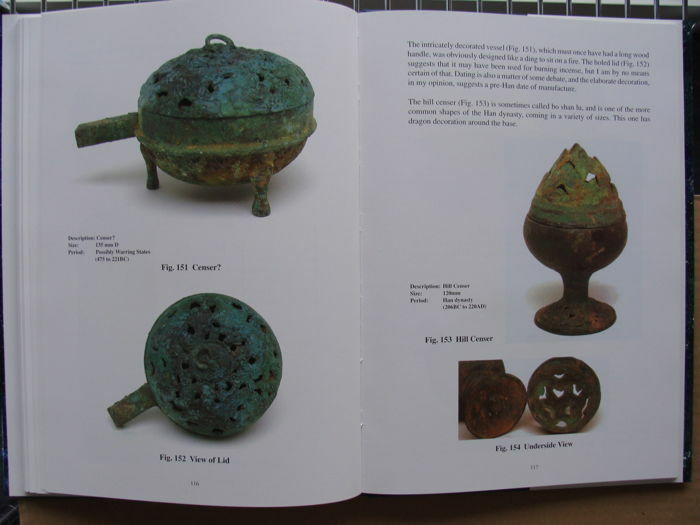 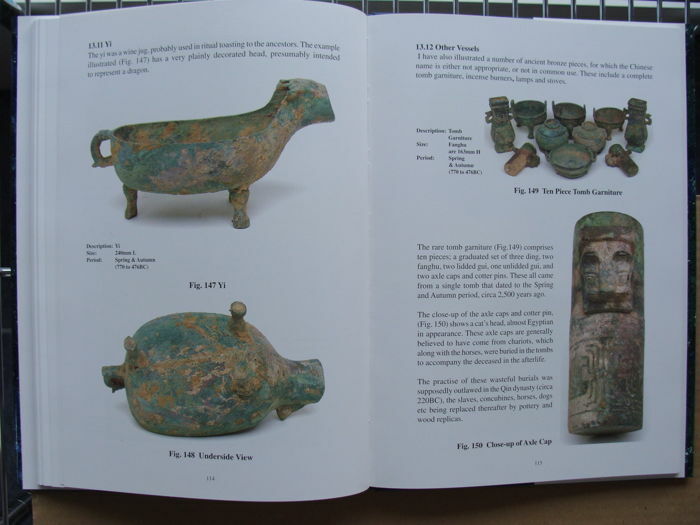 This book starts with a brief introduction to Chinese bronzes and bronze casting techniques of the Shang to Han dynasties, circa 3,800 to 1,800 years ago. 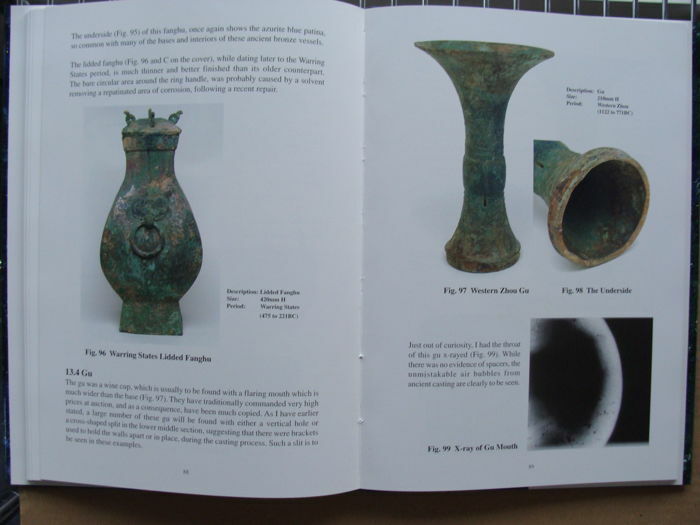 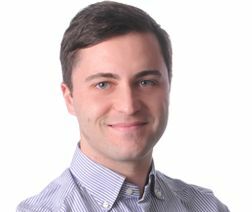 Subsequent chapters discuss authentication techniques generally, with brief sections on the use and practically of metallurgical, x-ray, thermoluminescence, carbon 14, high power microscopy and digital scanning scientific procedures. 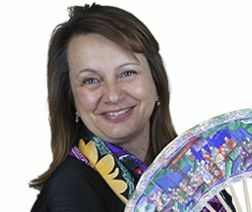 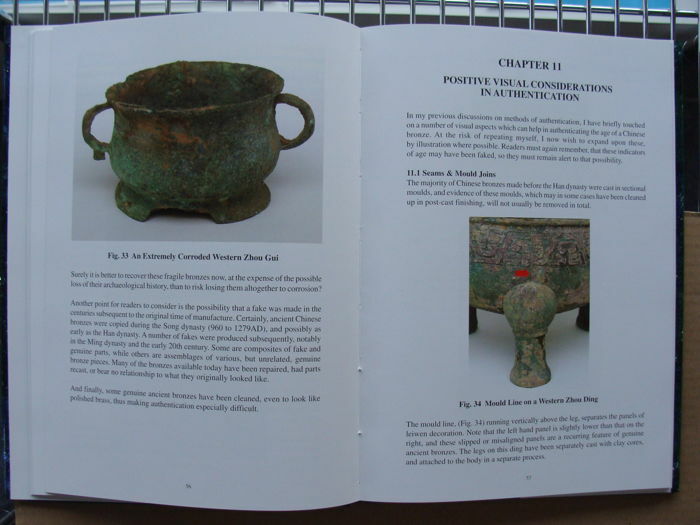 Later chapters discuss patination and corrosion, positive visual considerations in authentication, inscriptions and inlaid designs. 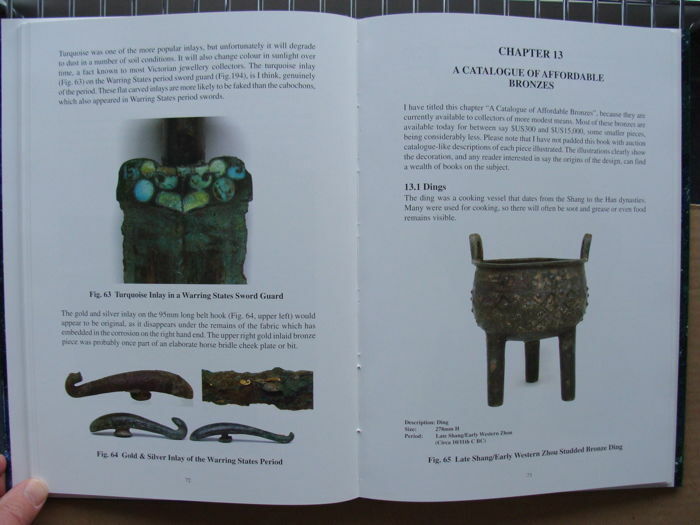 A lengthy catalogue of what Allen calls 'affordable' bronzes, is followed by a chapter entitled 'Fakes and Forgeries and Their Detection'. 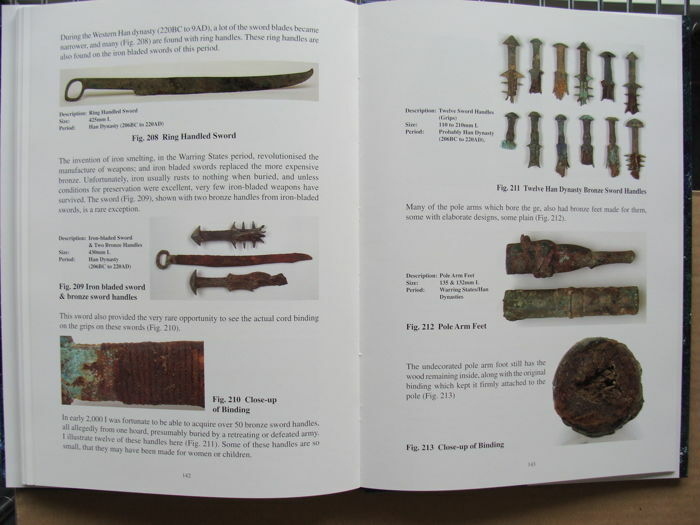 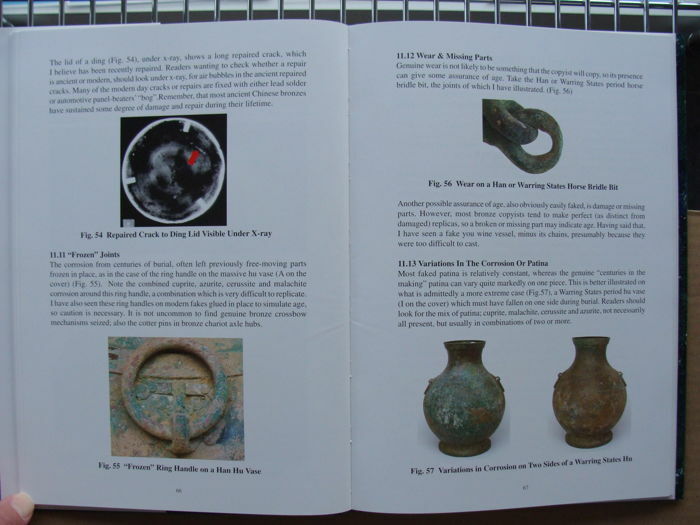 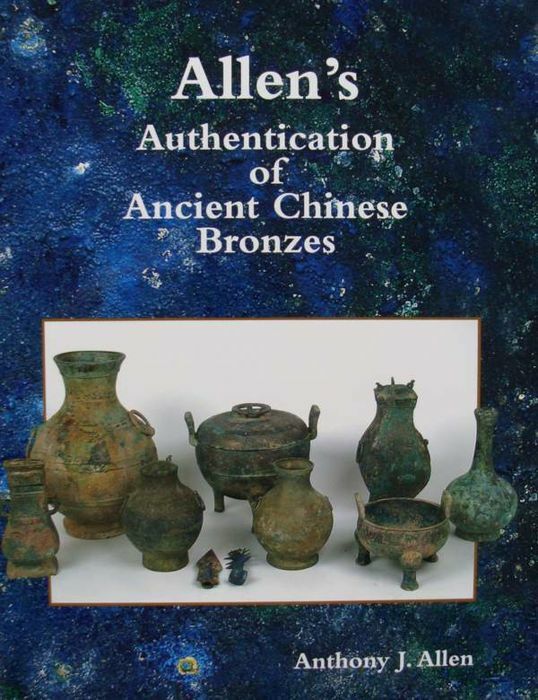 In this book, crammed with over 250 color illustrations, including many close-ups and x-rays, Allen shows not only numerous ancient Chinese bronzes, but also the bane of every collector and dealer's life; the fake made intentionallly to deceive.